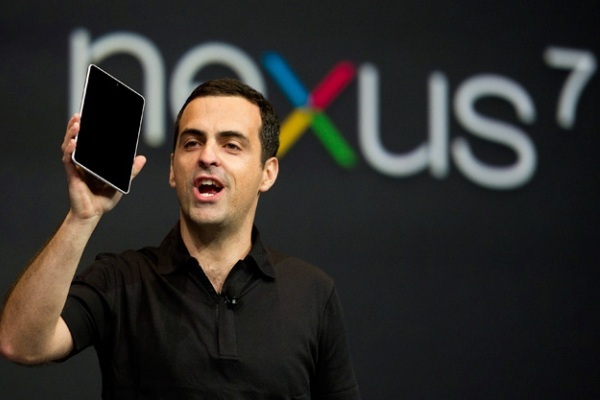 Google to Follow Nexus 7 with Nexus 10? Google is reportedly planning a 10in tablet as a successor to the Google Nexus 7, according to a report by DigiTimes; the information has been sourced from industry insiders. In addition, it is believed the touch panels will be supplied by AU Optronics (AUO) and Wintek. The news was also reported by PhoneArena, which said Google had plans for a bigger version of the Nexus tablet. The sources also revealed that electronics component manufacturer Wintek shipped some 500,000 units of One Glass Solution (OGS) touch panels for the Google Nexus 7 in June. The total shipment of OGS touch panels to Google will cross one million between May-July. TPK Holding is another manufacturer that supplies OGS touch panels to Google. The Chairman of Wintek, Hyley Huang, said the company supplied OGS touch panels to a number of clients other than Google. Huang said OGS would become a mainstream product in 2013 with 26.5 million notebooks expected to adopt touch panels in 2013. The present production capacity of the company is three million medium-sized and five million small-sized OGS touch panels. There are possibilities Google will launch a 10in tablet, according to Android Authority. The web search giant acquired Motorola Mobility in May and the acquisition, according to Google, will enable the company to enhance competition in mobile computing. Google will run Motorola as a separate business. "I am happy to announce the deal has closed. Motorola is a great American tech company, with a track record of over 80 years of innovation. It is a great time to be in the mobile business, and I am confident that the team at Motorola will be creating the next generation of mobile devices that will improve lives for years to come," said CEO of Google, Larry Page. If the aforementioned rumours are true, then Google's hypothetical 10in tablet could compete either against Apple's iPad or Amazon's next-gen Kindle Fire; the latter manufacturer is reportedly also looking at a 10in tablet. A report by BGR states Amazon is working on two new versions of second generation Kindle Fires - 7in and 10in - to be unveiled in July. The next generation Kindle Fires will feature a metal casing - the present model has a soft-touch plastic body. The rear of the devices will include a chrome-look rib and there will be improvement in the feel and appearance of the tablet. In addition, it could be the next-gen Fires will be lighter than the iPad and not feature hardware buttons. The 10in model could sport a front-facing camera.